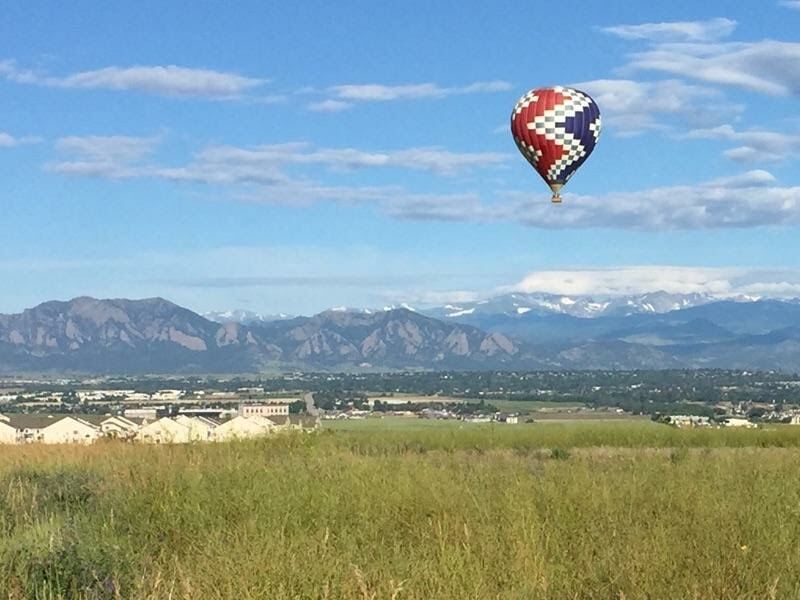 Year-round hot air balloon rides along the beautiful Colorado front range! Spectacular views, friendly staff, unforgettable adventure. 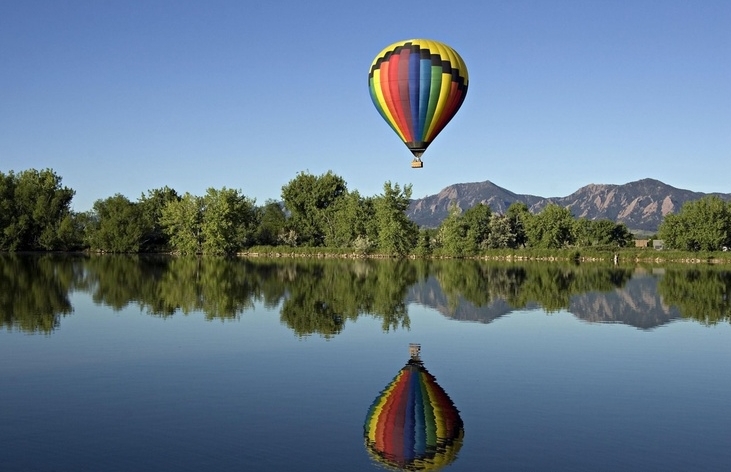 Hot air ballooning in Colorado is an experience you will remember for a lifetime. 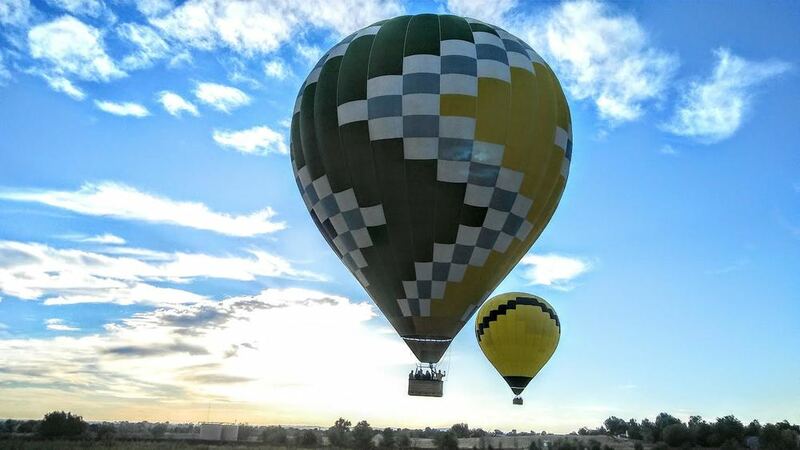 While everybody else looks up in amazement, you gain a new perspective of Colorado with altitude and thrill. You won't believe your eyes as you take in the view of the Rocky Mountains as far as the eye can see. Whether for a team building activity, sightseeing adventure, family vacation, special date, or romantic occasion, we look forward to serving you with the best service and safety in mind. With over 10,000 flight hours, our pilots are well trained and hold an impressive record of safe flights. Our passenger's experience, comfort, and safety always come first. Our professional, friendly, informative, and fully-licensed pilots help ensure a wonderful experience for you and your company. 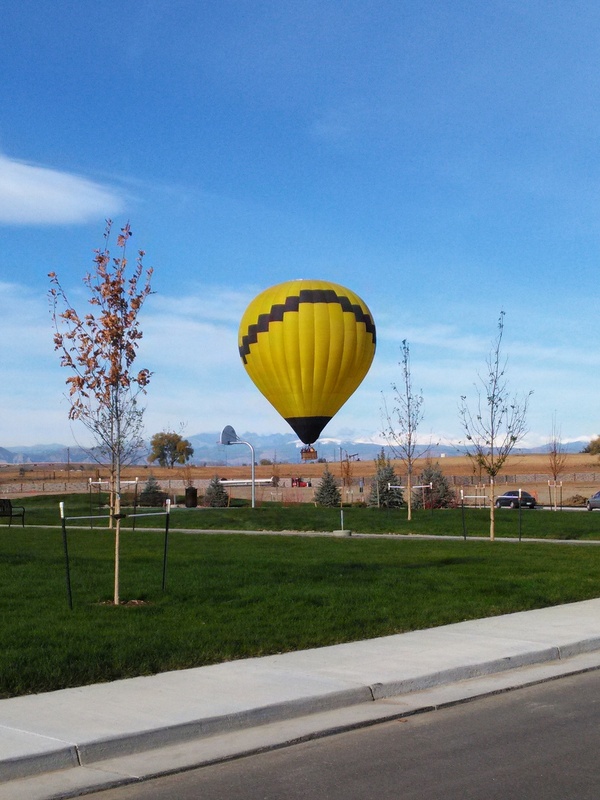 We have flown balloons in Colorado, the US, and around the world. When we are not attending festivals or flying in races, we like meeting new people through the friendly world of ballooning. Colorado never ceases to amaze us with its beautiful mountain views, great weather, amazing landscapes, and clear blue skies. 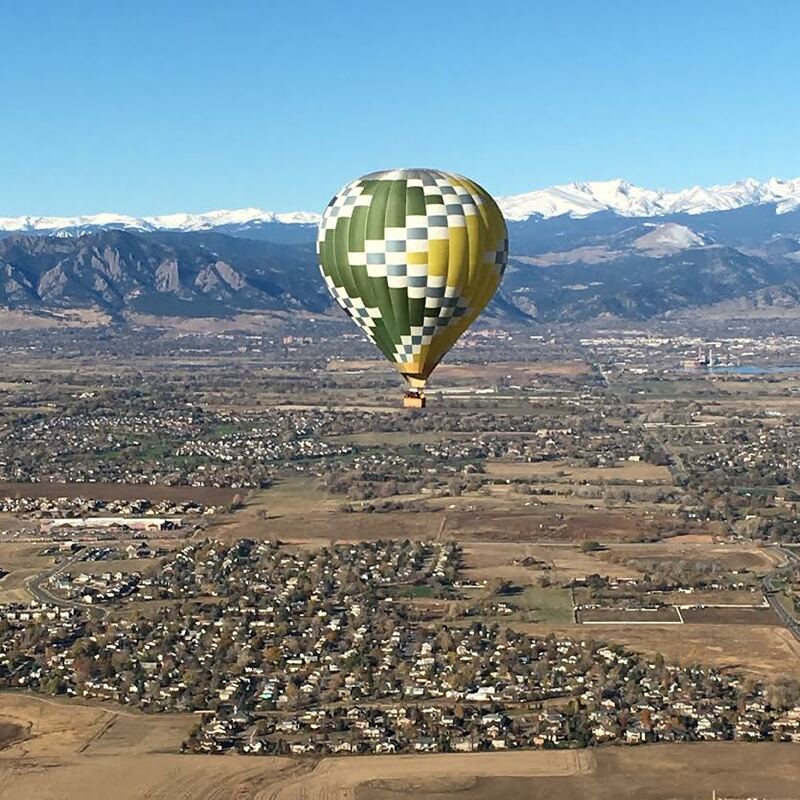 Enjoy a 360-degree view from the basket while observing the front range with spectacular views like the Boulder Flatirons, Longs Peak, and several other notable Colorado 14ers. 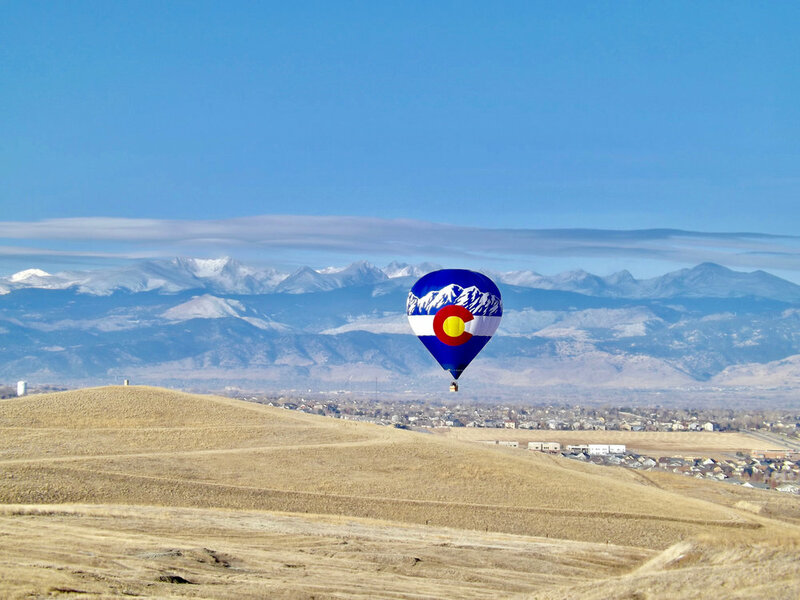 You will see why we love calling Colorado home. 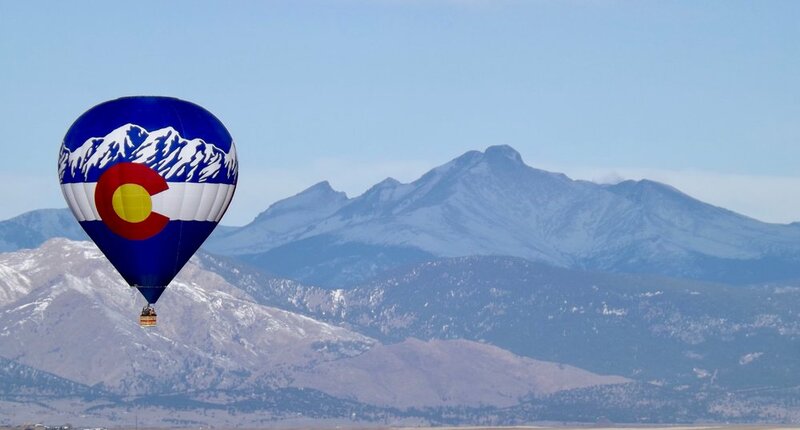 A hot air balloon flight is the perfect way to see Colorado's beauty in a unique way that will leave you with a new perspective and lasting memories. 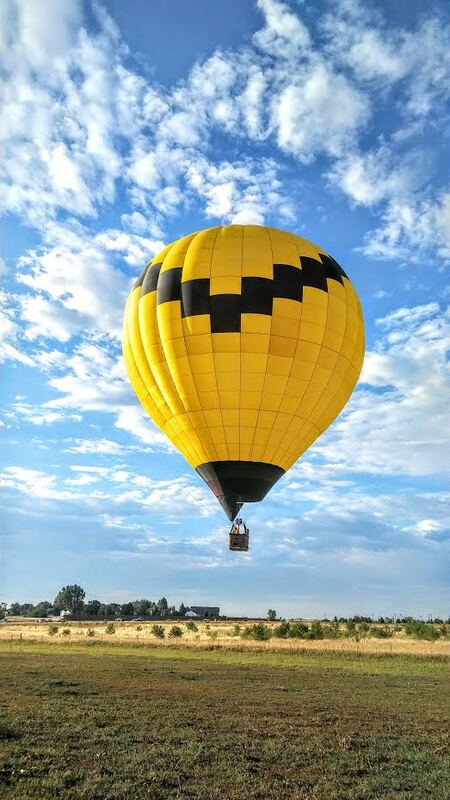 All photos on our website are actual photos from our flights to help give you an idea of the beautiful views you will get during your hot air balloon ride.